Junior and varsity boys volleyball captain Raymond Chen sets up for a serve as the crowd anxiously waits. After striking the ball as hard as he can, the play commences. For the first time in Palo Alto High School history, a boys volleyball team has hit the courts. The team endured their first home game last Wednesday against The King’s Academy, winning three sets to one. 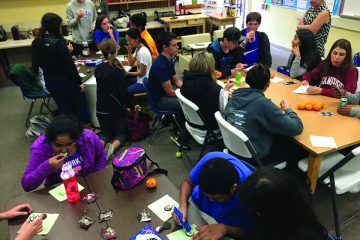 The team, led by coach Edward Yeh, varies in levels of ability and experience, and is comprised of students from each grade. Chen has the most experience, having played on a club volleyball team previously. After starting the team from scratch, they have had a rocky start, losing their first two matches; however, they redeemed themselves in their last match. 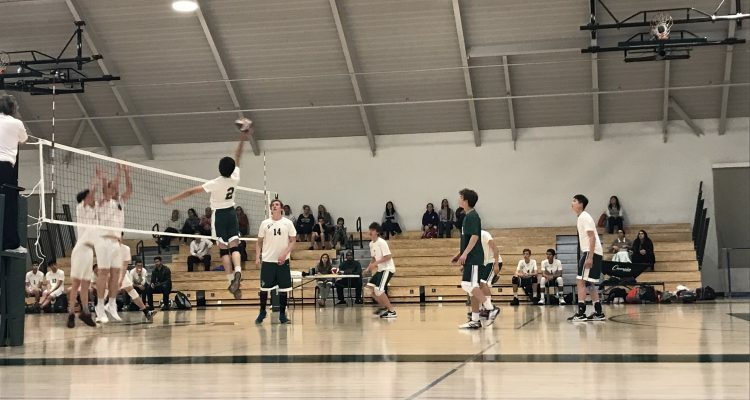 Until this year, Gunn High School and Paly have been the only two schools in the Santa Clara Valley Athletic League (SCVAL) to not include a boys volleyball team. Both schools have now implemented a boys team and are participating in the El Camino division. The boys team was added to Paly’s athletic program because of Title IX, a federal civil rights law that forbids discrimination in any educational program. 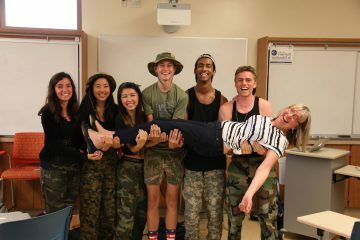 This year, Title IX was used in an attempt to promote a boys volleyball team at Paly and Gunn, alongside a girls field hockey team. However, the girls field hockey is still in the process of forming. 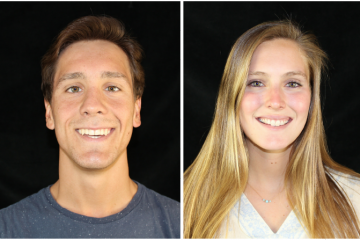 The proposal for the addition of a boys team occurred when parents signed a petition to establish a girls field hockey team in May 2017; this was part of an attempt to equalize the amount of boys and girls sports teams at Paly. With 35 boys who tried out for the team at the beginning of the semester, only eight made the team due to a lack of coaches. Yeh, who usually coaches Paly and Gunn girls volleyball, was pulled in to lead the varsity team, as there was no official coach just two weeks before the start of the season. Unfortunately, since there were no available coaches for a junior varsity team, many boys were cut. Although the team has gotten off to a respectable start, they still struggle in terms of funding from the school. According to Yeh, starting this team from the ground up involves challenges such as forcing the team to carpool to each game instead of providing buses. The season is expected to last until May, and the team will play Fremont High School next Wednesday at 6:45pm. Thanks for the great story. We’re doing better on logistics now — the school has provided vans for our away game. We just won our second league match on Friday, and we’re 2-0 in our division. Go Vikes!